Early 30s. Cancerian. Happily married.Mother of two-some. Almighty Blessed, Alhumdolillah. Shopaholic. Writing Passionate. Beauty obsessed. Curious to New Launches. Optimistic. Believes one should be a better person along with a better follower. Filled with enthusiasm to connect with bloggers and the crowd around!!! 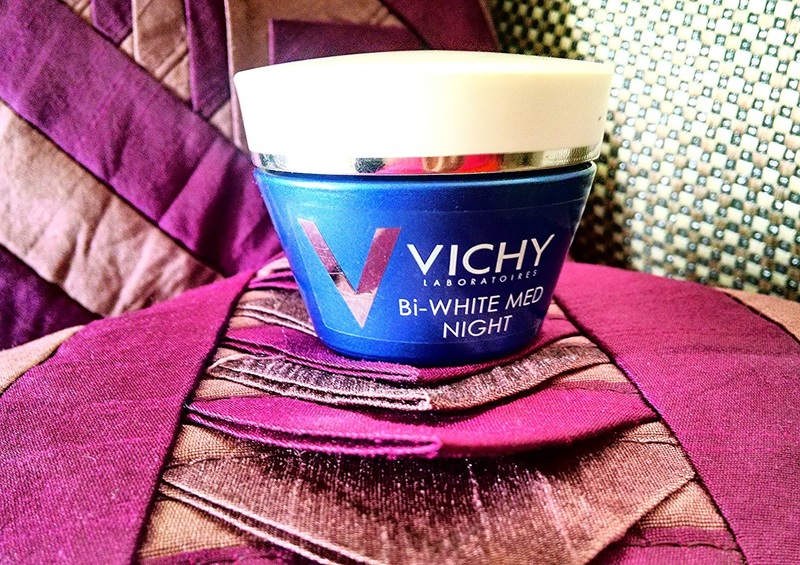 Vichy Bi-white Med Night Cream. Vichy Bi-White Med Night Creme. TOGETHER WITH DRM WHITE + PURIFYING PEONY FOR INTENSE FLAWLESS TRANSPARENCY AND NIGHT REGENERATION.Exclusive highly concentrated renewing night formula combining whitening break through DRM-White associated with deep cell whitening to illuminate skin from inside. Purifying Peony to detoxify skin and free it from any flaws. It contains 5 oils from natural origin to deeply replenish skin. Hypoallergenic, non-comedogenic, suitable for sensitive skin, tested under dermatological control on Asian skin, Formulated with Vichy Thermal spa water. Paraben free. Causes: Hormonal imbalances during and post pregnancy, exposure to sun. I am back again with another exciting and interesting find on user based experience. The night Creme has Vichy’s DRM white, the patent technology for inhibiting melanin production in the deeper layers of the skin, also inhibiting inflammatory mediators produced as a result of UV exposure, stress and other environmental factors.The Creme is enriched with ceramide, which has deep penetrating properties. Peony flower extract provides the radiance boost and protects the skin from free radical damage. Over with the formulation uses Vichy Thermal Spa water, from the thermal springs of Vichy (France).The night Creme is also enriched with essential oils which render its natural antioxidant and regenerative properties.The “Paraben free” tag, did make me buy this.Parabens are actually preservative agents that are cost effective and most widely used in cosmetic industries. Recently, parabens are found in most of the skin cancers, though researches have not yet proved the role of parabens in being the causative agents or the triggering shooters in cancers.Still being found in cancer biopsies, most of the high end brands have stopped using parabens.I being a scientist, I prefer the same!!! 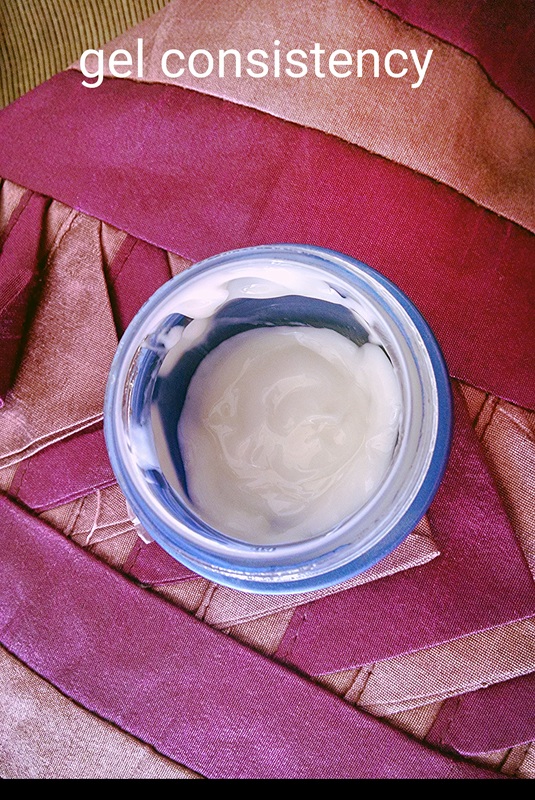 My skin is a combination type, most of the creams that I apply make me oily and I sweat badly.So choosing a skin cream is a big decision oweing to the skin types and the costs these days.The texture of the cream is thin, gel like, you need a tiny amount of this for the entire face.Just dab it on the areas of the face and all goes deep in with a slight massage of your fingers. 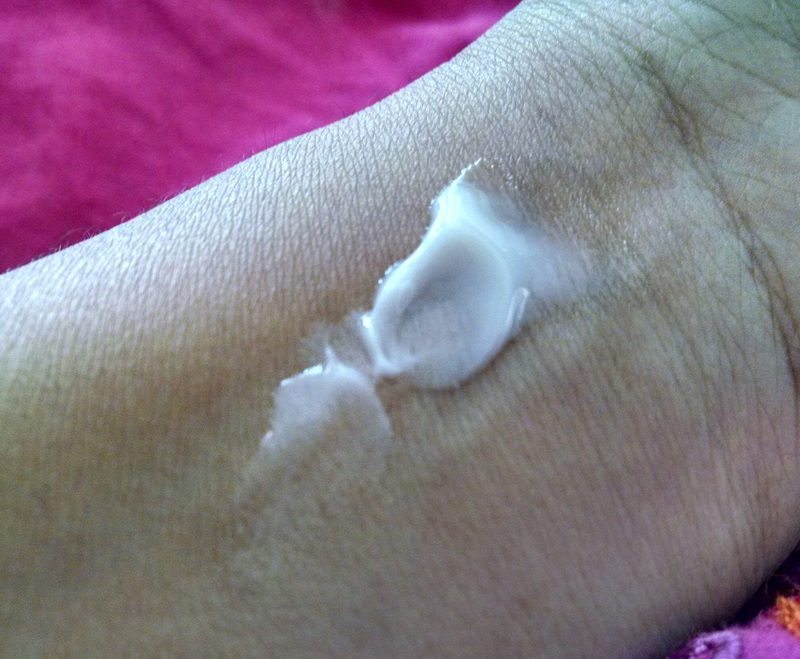 It doesnot make me oily and neither does it leave a white ghostly cast on the face (I hate that, please!!!). Since it is a night Creme, I apply this after proper cleansing and toning at the end of the day. I apply a little more over the pigmented areas.I am using this over two months now and I am quite satisfied the way it has improved my skin tone, enhanced the texture and given a healthy glow. It has indeed lightened my pigmentation patches over this time and I can definitely witness evenness. I have used it in conjunction to the Vichy Bi White Deep Whitening Spot Intervention (which is a targeted spot treatment cream). I feel the better part has been played by the spot intervention, this Creme has indeed acted as a base support skeleton system. In all, it is indeed a good night cream with effective anti pigmentation properties, but please don’t expect wonders if you are not using a targeted treatment.Also I apply sunscreen as a part of my daily routine (outdoor & indoor, both), else the pigmentation I burn with Vichy, shall regenerate oweing to stress and the golden rays of the sun!!! 1. Easily absorbed, doesnot make combination skin oily. 3. Effective in targeting dark spots, uneven skin tone and pigmentation. 2. Need to be applied consistently for over more than 4 weeks to see effective results. A wise buy indeed if you are looking over to bring back the glow of the twenties, rolling off uneven skin tone for a perfect radiance!! The product was my own purchase and the review is entirely honest based on my personal user based experience. Not just a cream cleanser, this lil beauty fares excellently as a make up remover as well!! replacing my current makeup remover with this soft,gentle, creamy cleanser from@thebodyshopindia !!!! #indianblogger #instasize #thebodyshop #creamcleanser #creamclean #inbetweenshes #makeup #goodcleanse #bestofthebodyshop Link in bio!! Physicians Formula Argan Wear Bronzer!!! 5 Things To Put Into Daily Skin Care Regime!! !